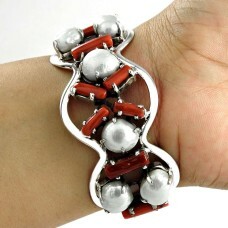 Fabulous Pearl Red Coral 925 Sterling Silver Bangle. 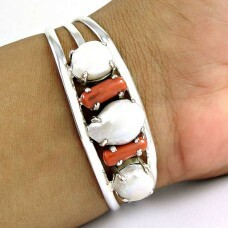 Gemstone: Pearl Red Coral, Colour: White, Red, ..
Sterling Silver Jewellery High Polish Rainbow Moonstone Bangle. 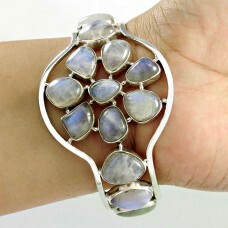 Gemstone: Rainbow Moonstone, Colour:.. 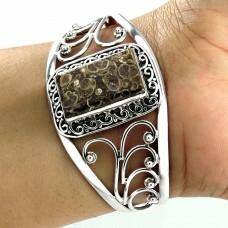 Fashion Design Black Rutile 925 Sterling Silver Bangle. 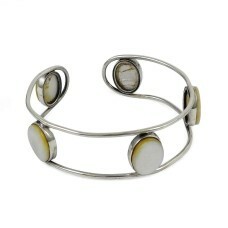 Gemstone: Black Rutile, Colour: Black, Grey,..
Amazing 925 Sterling Silver Fire Opal Bangle. 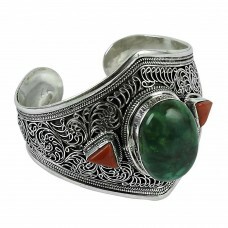 Gemstone: Fire Opal, Colour: Grey, weight: 22.6g, Size..
Big Amazing Tortilla Ageta 925 Sterling Silver Bangle. Gemstone: Tortilla Ageta, Colour: Brown, weig.. 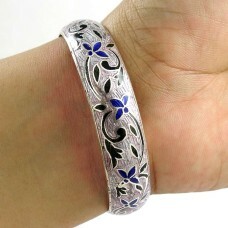 Very Light MeenaKari 925 Sterling Silver Bangle. 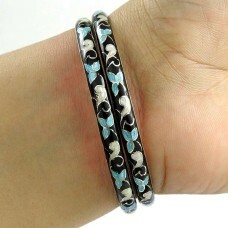 Gemstone: MeenaKari, Colour: Pink, Blue, Black, wei..
Beautiful Design MeenaKari 925 Sterling Silver Bangle. 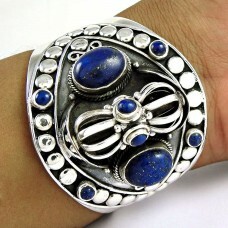 Gemstone: MeenaKari, Colour: Sky Blue, Grey, ..
Big Secret Design 925 Silver Coral Bangle. Gemstone: Coral, Colour: Red, weight: 49.7g, Size: Free S.. 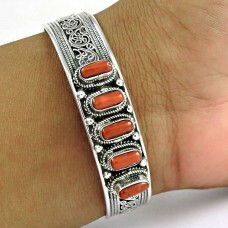 Stylish Coral Sterling Silver Bangle 925 Sterling Silver Jewellery. 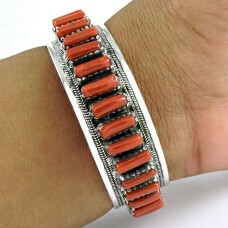 Gemstone: Coral, Colour: Red, we..
Gorgeous Design Pearl, Coral 925 Sterling Silver Bangle. Gemstone: Pearl, Coral, Colour: Red, White,.. 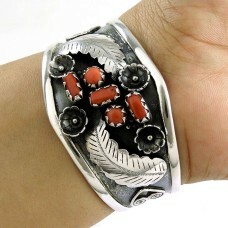 So In Love Coral 925 Sterling Silver Bangle. 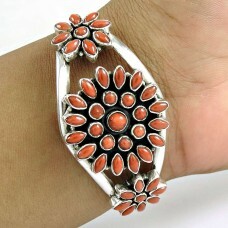 Gemstone: Coral, Colour: Red, weight: 40.5g, Size: Free..
Jumbo Fantastic Coral 925 Sterling Silver Bangle. 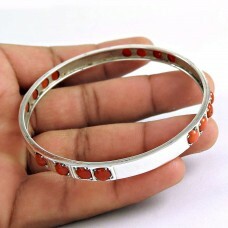 Gemstone: Coral, Colour: Red, weight: 44.5g, Size:..
sterling silver fashion Jewellery Rare Coral & Turquoise Gemstone Bangle. 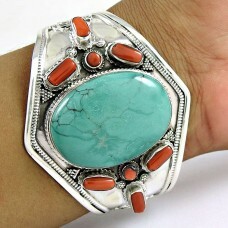 Gemstone: Coral & Turquois.. 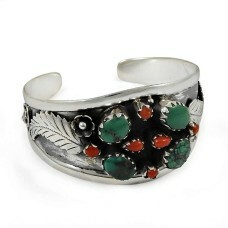 Kiss Coral & Turquoise 925 Sterling Silver Bangle. 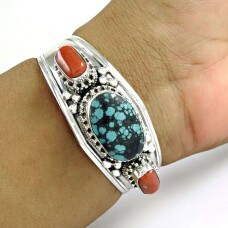 Gemstone: Coral & Turquoise, Colour: Red, Sky Blu..
925 sterling silver indian Jewellery Beautiful Turquoise Gemstone Bangle. 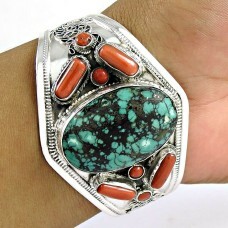 Gemstone: Turquoise, Colou..
Big Natural Coral & Turquoise 925 Sterling Silver Bangle. 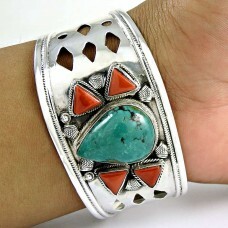 Gemstone: Coral & Turquoise, Colour: Red, ..
Classic 925 Sterling Silver Coral & Turquoise Gemstone Bangle. 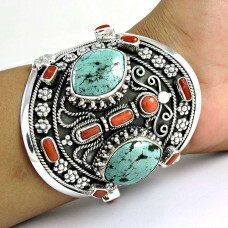 Gemstone: Coral & Turquoise, Colour: ..
925 sterling silver antique Jewellery Designer Coral & Turquoise Gemstone Bangle. Gemstone: Coral & .. 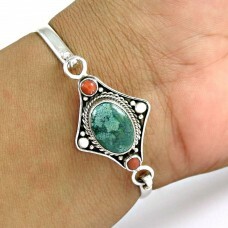 Mystic Princess 925 Sterling Silver Turquoise Bangle. Gemstone: Turquoise, Colour: Sky Blue, weight:.. 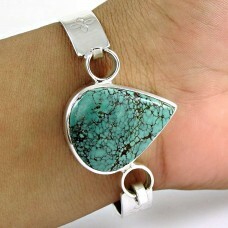 Stunning Turquoise Gemstone Sterling Silver Bangle 925 Silver Jewellery. 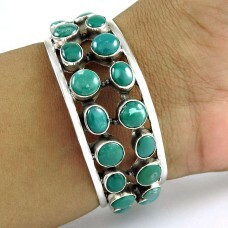 Gemstone: Turquoise, Colour..
Summer Stock 925 Sterling Silver Coral, Turquoise Bangle. 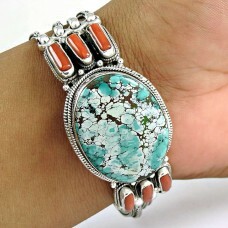 Gemstone: Coral, Turquoise, Colour: Sky Bl..
Big Natural 925 Sterling Silver Coral, Turquoise Bangle. Gemstone: Coral, Turquoise, Colour: Sky Blu..
Scenic Coral & Turquoise Gemstone Sterling Silver Bangle Sterling Silver Jewellery. 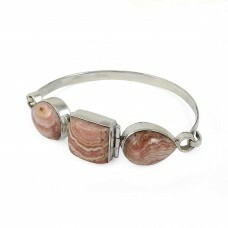 Gemstone: Coral ..
925 sterling silver vintage Jewellery Fashion Rose Quartz Gemstone Bangle. 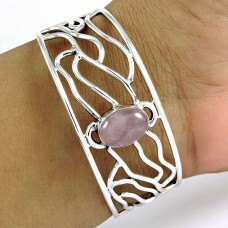 Gemstone: Rose Quartz, Co..
925 sterling silver gemstone Jewellery Charming Rose Quartz Gemstone Bangle. 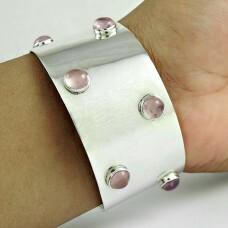 Gemstone: Rose Quartz, ..
925 sterling silver fashion Jewellery Trendy Mother Of Pearl Gemstone Bangle. 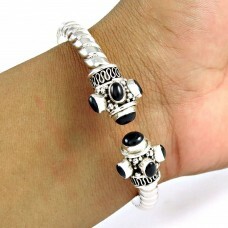 Gemstone: Mother Of Pe..
Delicate Black Onyx 925 Sterling Silver Bangle. 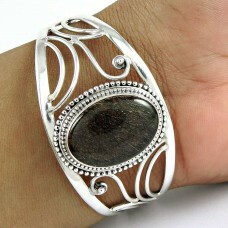 Gemstone: Black Onyx, Colour: Black, weight: 57.5g, ..
Indian Silver Jewellery Ethnic Sun Stone Gemstone Bangle. 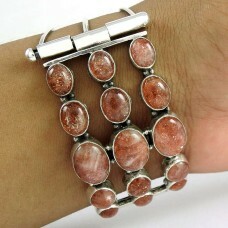 Gemstone: Sun Stone, Colour: Red, weight: ..
925 sterling silver Jewellery Rare Rhodochrosite Gemstone Bangle. Gemstone: Rhodochrosite, Colour: P.. 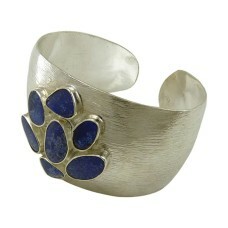 Lavender Dreams Lapis 925 Sterling Silver Bangle. 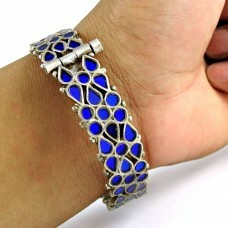 Gemstone: Lapis, Colour: Blue, weight: 89.5g, Size..
Personable 925 Sterling Silver Ruby Zoisite Gemstone Bangle. 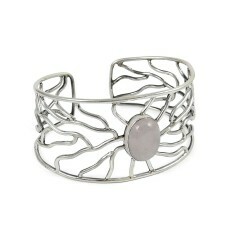 Gemstone: Ruby Zoisite, Colour: Pink, G..
Classy Snowflake obsidian 925 Sterling Silver Bangle. 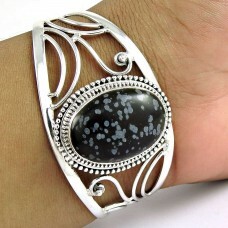 Gemstone: snowflake obsidian, Colour: Black, G..
Royal Style Fossil Jasper Gemstone Sterling Silver Bangle Jewellery. Gemstone: Fossil Jasper, Colour.. Simple Golden Rutile 925 Sterling Silver Bangle. 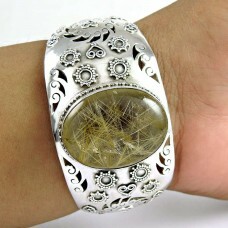 Gemstone: Golden Rutile, Colour: Golden, weight: 53..
Natural Labradorite 925 Sterling Silver Bangle. 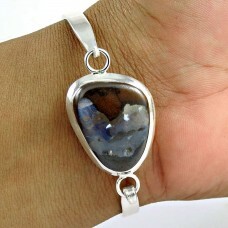 Gemstone: Labradorite, Colour: Blue, weight: 62.5g, ..
Secret Opal 925 Sterling Silver Bangle. Gemstone: Opal, Colour: Blue, weight: 46g, Size: Free Size c.. 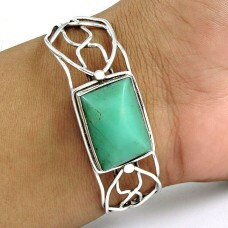 Pale Beauty Chrysoprase 925 Sterling Silver Bangle. 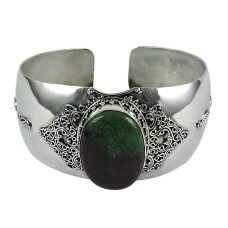 Gemstone: Chrysoprase, Colour: Green, weight: 25..
925 Sterling Silver Jewellery Rare Rose Quartz Gemstone Bangle Supplier. 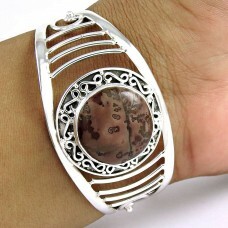 Gemstone: Rose Quartz, Colo..
Beautiful Coral, Turquoise Gemstone 925 Sterling Silver Ethnic Bangle Jewelry. 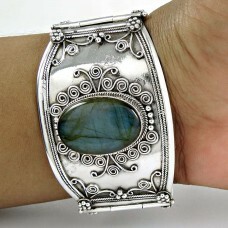 Gemstone: Coral, Turq..
Beautiful 925 Sterling Silver Antique Glass Traditional Bangle. 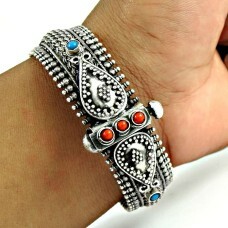 Gemstone: Antique Glass, Colour: Blu..
925 Sterling Silver Jewelry Rare Coral, Turquoise Gemstone Bangle Hersteller. Gemstone: Coral, Turqu.. 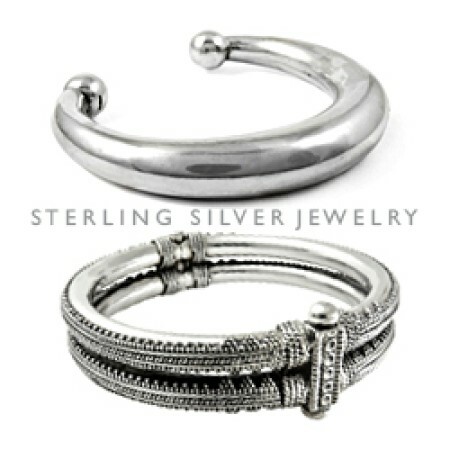 Engaging 925 Sterling Silver Black Onyx Bangle. 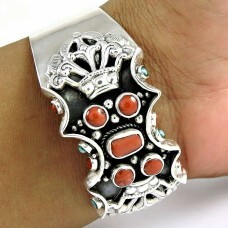 Gemstone: Black Onyx, Colour: Black, weight: 23.5g, ..
Big Amazing Turquoise,Coral 925 Sterling Silver Bangle. 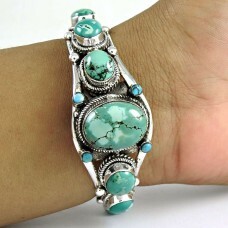 Gemstone: Turquoise, Coral, Colour: Sky Blue..